1. Talk or text on your phone. Again, it’s simply improper conduct. It shows that you aren’t truly present and that you lack the sort of self-control that any professional on the job should possess. Even if it’s just a quick glance here and there, all it takes is a client to catch your eyes off the crowd once for them to deem you distracted. And if the client thinks they aren’t your number one focus, then you risk setting yourself up for a poor review after the fact. Do yourself a favor and just put the phone on silent and out of sight. 2. Talk smack about your competition. No matter how much you may dislike your competition, or consider yourself more talented than them, you should never belittle anyone in front of a client. In dissing them, you’re only doing yourself a disservice by coming across as petty and impolite. If a client or event guest happens to bring up the name of a competitor in any capacity, use the opportunity to take the high road and offer a neutral response, such as, “Oh yes, I’m familiar with [name of competitor]. Our styles are quite different.” But whatever you do, don’t stoop so low as to discredit an industry peer. This one may stand out to all of the entertainers out there. Sure, there’s something to be said for being edgy. You know, inserting a few expletives into your banter with the audience. Many party-goers enjoy that sort of thing. But unless a client specifically requests a style like that, it’s best you leave the vulgarity at the door. You never know what someone might find offensive, so play it safe and avoid cursing, making mention of touchy subject matter, or inciting laughs at any individual’s expense. You never know who you might run into at a gig, so it’s always a good idea to keep a couple business cards on hand. Being aware of networking opportunities at an event is important – just don’t walk around handing out unsolicited contact information to guests. That can come across as pushy on your part. 2. Keep backup contact info handy. This one is particularly important for large-scale gigs like weddings, festivals, and corporate events. Should there be a day-off question or last minute emergency, don’t depend on the primary contact (i.e. the bride, event director, etc.) to pick up his or her phone. 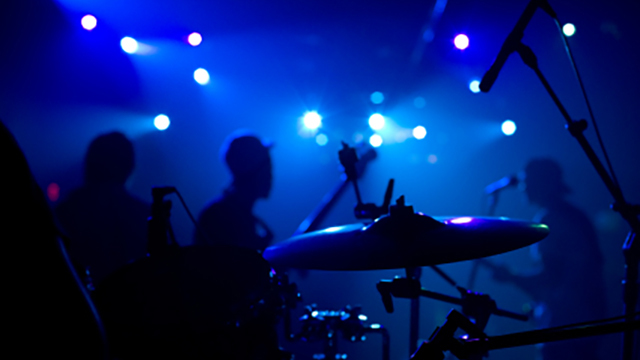 Make sure you have the contact information for several other individuals who will be on-site and available before, during, and immediately following a gig. Being over-prepared shows the client that you really care. Never underestimate the importance of a genuine smile! All those in attendance will regard you as a truly pleasant professional who enjoys what they do when they see that you’re all smiles while on the job. When in doubt, put yourself in the client’s shoes. If you were hosting an event, would you like to see the individuals you hired acting unprofessionally? We didn’t think so. So do them and yourself a favor by avoiding any and all questionable behavior. And don’t forget to smile. What would you say is one thing you should never do at a gig? Share your thoughts in the comment section below!